This chapter proposes a new model of managing educational institutions' activities to provide staffing needs: customer synchronized resource planning (CSRP). It describes a technology that rebuilds the learning process in order to reduce the time needed to prepare staff adequately with the competencies required by employers as requested by the economy sector. At present the development of an open system for the educational institution is being carried out. This system is able not only to create an educational program dynamically, which allows us to get the right number of specialists with the desired competencies in the minimum period, but also to rebuild the agency's management system for new tasks: to generate the necessary training materials, make changes in the timetable, and rebuild the educational portal by adding new data. It is possible to increase the quality and effectiveness of the training by analyzing the requirements of those who are interested in their competitiveness (the educational institution, the state, and the employer), automating the process of learning and evaluating specialists’ competitive capability (Martynov, Filosova, & Guzairov, 2014). In addition to the common forms of improving the quality of specialists’ education, operational training of a specified number of trainees with the competencies required by employers is increasingly becoming an urgent task. 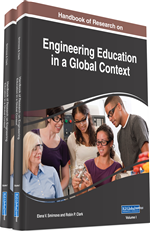 This chapter focuses on the introduction of such educational platforms that effectively train specialists at any level of education with a set of desired requirements (in the form of competencies) for his or her level of knowledge. According to its purpose and functional properties, such an information system is the closest one to the CSRP systems in industry (Martynov, & Filosova, 2014).For innovation to take place in higher education, the organizational culture of institutions of higher education and leadership should support such initiatives (Zhu, 2015). CSRP systems solve the problem of the individual urgent orders. Such systems presuppose continued possibilities to control the external elements of the production chain. In the CSRP systems with typical enterprise resource planning(ERP)system functions, the function of customer lifecycle support has been added. In the education system, such customers are primarily the representatives of the real sector of the economy, who make individual orders for specialists with the competencies required by the given employer. To create the technological infrastructure by implementing open technologies capable of supporting the integration of employers, educational institutions, and training control applications. ERP: Organizational strategy for integrating production and operations, managing human resources, financial management, and asset management focused on continuous balancing and optimization of enterprise resources through a specialized integrated software package providing a common data and process model for all areas of activity. Competence: It is the possession of a specific competence (i.e., knowledge and experience of their own activity), allowing to make objective judgments and to make the correct decisions. Competency: The ability to act successfully on the basis of practical experience, skill, and knowledge in solving professional problems. Is understood as a formal system characteristic, which is described as a set of requirements for the knowledge, skills and qualities of the employee for a function, position or role in the organization. Object Approach: A programming paradigm in which the basic concepts are the concepts of objects and classes (or, in the less well-known version of prototyping languages, prototypes). Training Package: The standard name for the totality of educational and methodological documentation, teaching and control tools developed in the higher school of the Russian Federation for each discipline. The TP should include complete information sufficient for the passage of discipline. TPs are designed to ensure the openness of the educational process and should be available to anyone who wants. CSRP Systems: Resource planning synchronized with the customer. CSRP includes a complete cycle from designing the future product to customer requirements, to warranty and after sales service. The essence of CSRP is to integrate the buyer into the enterprise management system. In this case, not the sales department, but the buyer places an order for the manufacture of products, he is responsible for the correctness of its execution and, if necessary, monitors compliance with the terms of production and delivery. The enterprise can very accurately track the demand trends for its products. Federal State Standard of Higher Professional Education: A set of mandatory requirements for the formation of a certain level and (or) the profession, specialty and direction of training, approved by the federal executive body, which exercises the functions of developing public policy and regulatory legal regulation in the field of education.